There are different Austin Air Filters in each of their air purifiers. They use a 4 stage filtering system. Each purifier uses a different type of filter depending on the purpose of the machine. All Austin air purifiers have true medical grade HEPA filters. True medical grade HEPA filters remove 99.97% of all particles 0.3 microns in diameter and 95% of all particles 0.1 microns in diameter. If you want to read more about HEPA filters, click here to read the article: What is a HEPA filter? Activated Charcoal is a form of charcoal, or carbon, that has been processed to make it extremely porous. Austin air filters use this to absorb gases and chemicals in the air. It is so porous that 1 gram can have a surface area of 500 m2. This very large surface area provides a lot of room for chemical reactions. This means that it can remove a lot of chemicals from the air. Zeolite is a naturally occurring volcanic rock, although most zeolite used in commercial products is made in a factory. It is also very porous. It is also able to absorb large amounts of chemicals. It is very good at absorbing formaldehyde and ammonia. The carbon and zeolite are combine in a 10:1 ratio of carbon to zeolite. Potassium Iodine is another substance that is able to absorb chemicals from the air. 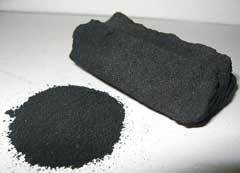 By combining it with activated carbon, the efficiency of the filtering material is increased. This is a specially woven cloth that has been treated with activated charcoal. It is very efficient at removing chemical from the air. This is the same material found in the gas protection suits used by the military. It's big benefit is that it can not release carbon dust into the air. For this reason it is used in the Allergy Machine and the Baby's Breathe Machine. Austin air filters use a 4 stage filtering system. Stages 1 and 2 are the same for each air purifier. Stages 3 and 4 are different for each filter. Stage 1 - A large pre-filter removes the largest particles like pet dander, dust, and hair from the air. Stage 2 - A medium pre-filter removes small to medium size particles like pollens and molds from the air. Stage 3: Activated Charcoal / Zeolite blend. Removes chemicals, gases, and odors like formaldehyde and ammonia. Stage 4: True Medical Grade HEPA removes dander, dust, micro-organisms, bacteria, and viruses from the air. Stage 3: Activated Charcoal with Potassium Iodine. Removes chemicals, gases, and odors like formaldehyde and ammonia. Stage 3: True Medical Grade HEPA removes dander, dust, micro-organisms, bacteria, and viruses from the air. 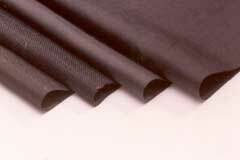 Stage 4: Activated Military Carbon Cloth. Removes chemicals, gases, and odors like formaldehyde and ammonia. Stage 3: Specialty Carbons / Zeolite blend. Removes odors caused by pets and other chemicals, gases, and odors like sulfuric acid and ammonia. Austin Air Filters Page and Return to Austin Air Purifiers Page. Austin Air Filters Page and Return to All About Air Purifiers Home Page.